Join us again in 2019 on our Synthetic Turf in beautiful Barbados for the 34th installment of our annual Barbados International Hockey Festival! "Where the best teams from around the world compete.. On and off the field!!" The Barbados International Hockey Festival is the biggest annual field hockey event in which teams from Barbados and the Caribbean, the UK, Europe, South America and else where in the world compete. 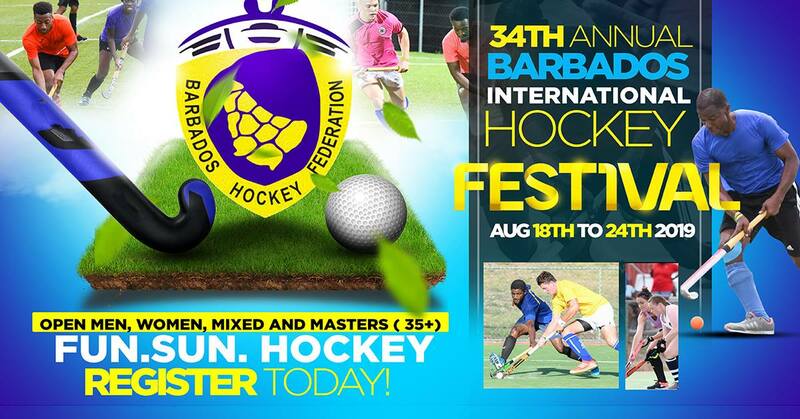 Join us on our new Synthetic Turf for the 34th Edition of the Barbados International Hockey Festival! There will also be an island cruise and beach party.